When you've just achieved something impressive in your favorite Nintendo Switch game, it's great to be able to take a screen capture of your progress and share it with others. Here's how to take Nintendo Switch screenshots, and what you need to know about sharing. On the Joy-Con controller: the left Joy-Con has a dedicated screenshot button. It's square and located near the bottom of the controller, underneath the directional buttons. On a Pro Controller: the button is located just left of the center of the controller, above the directional pad. Once you've pressed the screenshot button on either controller, you'll hear a camera shutter sound and a notification will pop up in the top left of your Switch's screen stating 'Capture Taken'. All of your screenshots can be found in the Nintendo Switch's Album App. To view your screenshots, select Album at the bottom of the Switch's Home Screen. If you have many screenshots, you can filter them within the album so it's easier to look through. Tap Filter or press the Y button. Specific Game Screenshots: So you can browse according to the game you played. It's possible to add text to your screenshots before sharing them. Here's how. You can also use the directional buttons or left analog stick to move to the relevant image, then press A to open it. Either press A or tap Editing and Posting. Type the message you want to accompany your screenshot. You can use the directional pad or left analog stick to select the letters on the keyboard, but it's much faster to use your fingers to tap the on-screen keyboard. Press the Plus (+) button to confirm the message. Tap and drag the finished text around the screen. Alternatively, Select Change, then use the directional buttons or left stick to move the text; use the L and R buttons to rotate it. If you don't like the font size or text color, select those options to change them accordingly. Select Finished. Your screenshot now has the text added to it. A copy of your screenshot without the text is saved onto your Switch for future reference. Once you've selected the screenshot, you can share it easily with others using a couple of different methods. Here's how to share it via social media networks like Facebook or Twitter. Tap Editing and Posting, or press A. If you want to share multiple screenshots at once, tap Post Multiple and select each image you want to share, before tapping Post. Choose a Posting Location. Your options are Facebook or Twitter. The first time you do this, you need to link your social media accounts to your Switch. Just select Link Account, then follow the instructions to log in. Enter a comment or tweet then select Post to send the screenshot to your social media account. A message will appear confirming you've successfully shared a Nintendo Switch screenshot. Go check your social media account to be sure! Sometimes, you might want to move your screenshots to a microSD card rather than leave it on your console. This is useful because you can remove the microSD card and place it into your PC or laptop, like you can with a digital camera's memory card. When browsing your Switch's album, select the screenshot you want to move. You now have two copies of that screenshot. 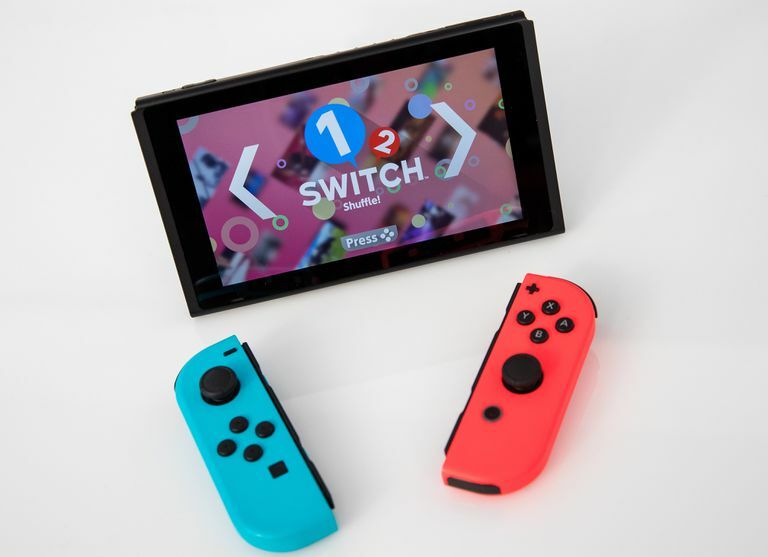 One on your Switch and one on the microSD card. Want to delete one of those copies? In the Album, tap Delete (or press X), then select each image. Select Delete to delete the images you've selected.